Kemute as he is popularly called is a drummer, sound engineer and an entrepreneur. His skill, speed, power, fast bass drumming, distinctive sound, and "feel" for the groove on the drums is out of this world. When it comes to playing the drums in AJ he is a trail blazer. If you don't know you better ask somebody! 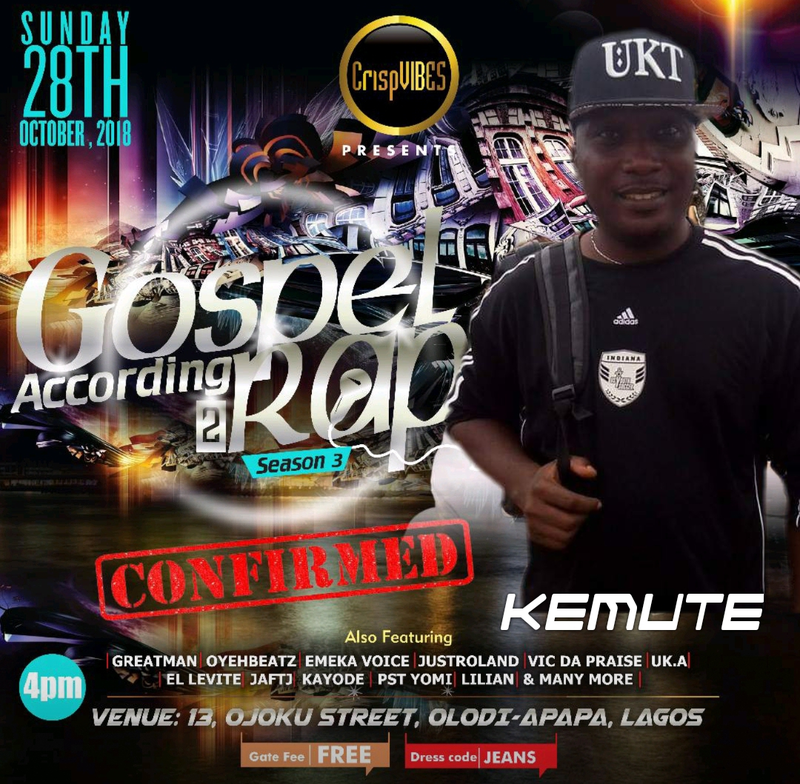 Kemute is the OFFICIAL DRUMMER for #GospelAccording2Rap(Season3) so he will be Joining us come Sunday 28th October 2018 by 4pm. You Don't want to miss it!